SIMON CROSS was one of the most exciting English riders of his generation. 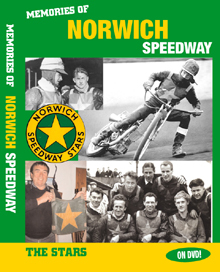 A teenage grasstrack star, he began his speedway career with Oxford (1982) and had a second season in the National League with Weymouth (1983) before steeping up into the big-time with reigning British League champions Cradley Heath. In his 12 seasons with the Heathens (1984-95), 'Crossi' played a prominent role in the Midlands outfit winning a host of domestic honours alongside fellow club legends Erik Gundersen, Alan Grahame, Jan O. Pedersen, Greg Hancock and Billy Hamill. 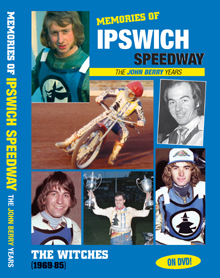 Whenever and wherever Simon was on track, he set pulses racing with breathtaking manoeuvres that thrilled the crowds during speedway's last golden era. Even in the races he didn't quite manage to win, his courage and never-say-die determination earnt him many vital points from the back. This tenacity became the hallmark of his illustrious 15-year racing career. * Crossi in action home and away for Cradley Heathens. * Racing his heart out for England in Test matches against Denmark and USA. * Admire his courage and skill as he passes reigning World Champions Hans Nielsen and Sam Ermolenko in seaparate races at Dudley Wood. * Competing against the world's best in individual World Championship rounds. * Winning the 1988 Overseas Final – his biggest individual victory. 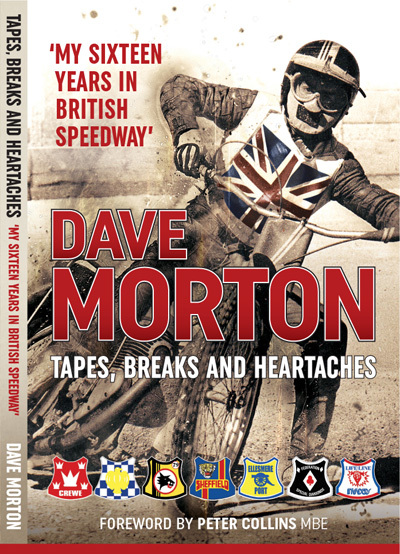 * His horrific first race crash in the 1989 World Team Cup that tragically ended the career of his club-mate Erik Gundersen and totally overshadowed England's win. * His near career-ending spill in the 1990 World Pairs Final (when partnered with Kelvin Tatum) that almost left him paralysed. 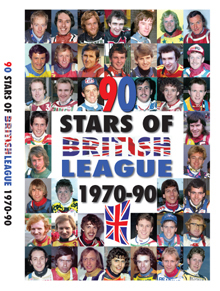 * How he bravely fought back to regain star status at Cradley and a return to the national team. * A race for his only Polish club, Start Gnieszno, in 1992. * Early National League rides as a teenager for Oxford Cheetahs and Weymouth Wildcats. * Still serving up a feast of thrills, Crossi in his final (1996) season with Coventry Bees. 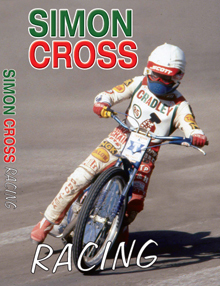 Post: Send cheque/postal order (payable to Retro Speedway) for £16 to: Retro Speedway (Simon Cross Racing DVD), 9 Nursery Close, Glossop, SK13 8PQ.